Judo and Brazilian jiu-jitsu (BJJ) are popular martial arts, but, nowadays, mixed martial arts (MMA), a sport that joins all martial arts, has shown an exponential growth worldwide. Like all contact sports, injuries are frequent events. This chapter presents some aspects of these martial arts (judo, BJJ, wrestling, and MMA) as well as discusses the common injuries and the sports physician’s responsibility in this field. Čierna D, Štefanovský M, Matejová L, Lystad RP. 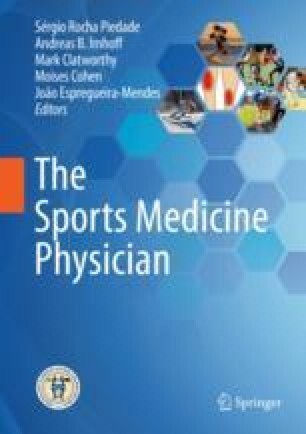 Epidemiology of competition injuries in elite European judo athletes: a prospective cohort study. Clin J Sport Med. 2017. https://doi.org/10.1097/JSM.0000000000000526. Epub ahead of print.